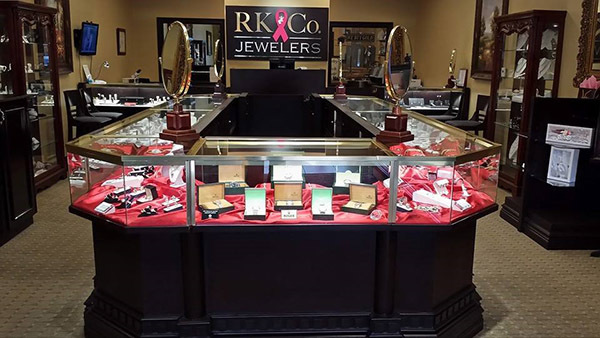 My name is Reza Khalaj, and I am the proud owner of RK & Co. Jewelers located near Milton and Alpharetta. We are excited to offer you the finest quality jewelry including engagement rings, estate jewelry, and pre-owned luxury timepieces. Our jewelry store also buys large diamonds, jewelry and luxury watch brands like Rolex. In 2009, I lost my mom to breast cancer. In her honor, we replaced the ampersand in our name with a pink ribbon. I feel compelled to do everything in my power to help the fight against this horrible disease and give back to the community that supports us. Our jewelry store has partnered with Children’s Healthcare of Atlanta so that each time you buy a piece of jewelry from RK & Co. Jewelers, a portion of the sale of the jewelry is donated to these inspirational local organizations. Please take a moment to read “A Note From Our Owner” for additional information regarding how our Rolex and jewelry store was founded. Please feel free to reach out to us to inquire about how our trade-in or jewelry upgrade program works and how we buy jewelry. We’re always in the market for gold, diamonds and much more. You can find out more from our FAQ page, or you can contact us to set up an appointment to review your pieces and receive an estimate.